Living a Fit and Full Life: Get the Perfect Summer Glow with St.Tropez! 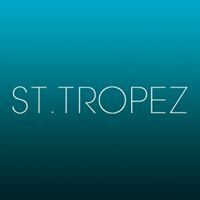 Launched in 1996, St.Tropez is one of the original tanning brands in the arena with the launch of the world’s first ever self-tan treatment. Over 20 years later St.Tropez retails across the world and continues to be renowned for its innovation in the beauty world.The Intelligent Tanning System tailors to your skin allowing each and every one of your to find your ultimate tan with St.Tropez. With one St.Tropez spray tan performed every minute and one product sold every fifteen seconds, we are proud to be the leading tanning brand chosen globally by professionals, celebrities and beauty editors alike. Get the perfect summer glow with St.Tropez! 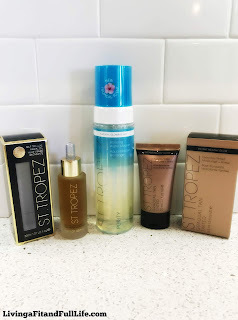 As a pretty pale skinned gal, I'm always looking for ways to add a little glow to my skin which is why I love these products from St.Tropez. They work extremely well and still leave you looking like you have a natural glow. St.Tropez's Self Tan Luxe Facial Oil and Gradual Tan Plus Luminous Veil Face Cream are the perfect way to add a little natural glow to your face. I don't know about you guys, but I try to keep my face protected from the sun so that tends to leave my face pretty pale and washed out. St.Tropez's Self Tan Luxe Facial Oil and Gradual Tan Plus Luminous Veil Face Cream give me just the boost of natural sunkissed glow that helps me look my best. I love that the oil doesn't have that self tan smell and seems to hydrate my skin. The Gradual Tan Plus Luminous Veil Face Cream works really well and allows be to build to my desired tan which I love! 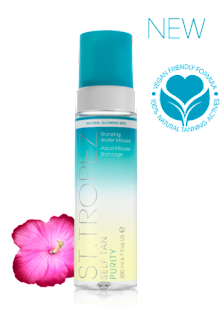 Self Tan Purity Bronzing Water Mousse from St.Tropez is so easy to use and smells wonderful! Another thing I love about the Self Tan Purity Bronzing Water Mousse from St.Tropez is that there's no need to rinse it off. It's also streak free and doesn't transfer leaving me with a radiant healthy glow! If you're looking for a self tanner that's easy to use and gives you professional results at home, this is it! St.Tropez has everything you need to achieve your desired glow right at home! Click HERE to learn more about St.Tropez! Follow St.Tropez on social media!